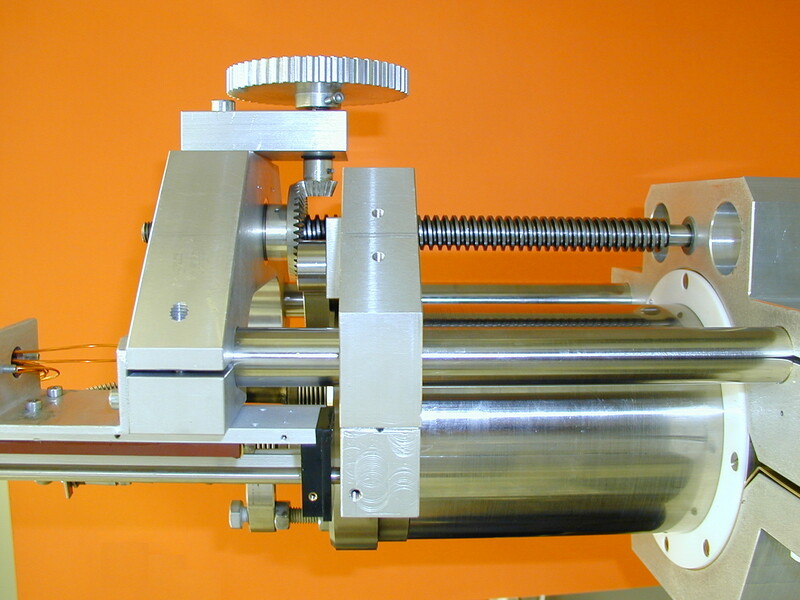 Since in the ion source department there is a lot of mechanical construction needed. There is a mechanical workshop working exclusively for the belongings of our group. The workshop is equipped with all different kinds of machinery, i.e. milling machine, band saw, turning machine, welding equipment etc. The ion source department has its own electronics lab as well as certified electricians in order to provide operational reliability and the possibility to improve source operation through developments of the electronics hardware. 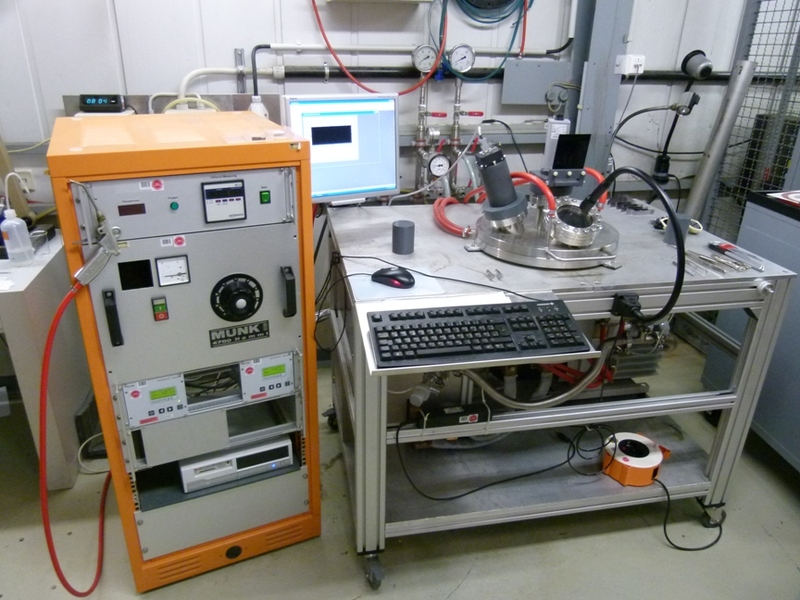 Most recent example is the development of an automatic venting system for the ion source vacuum chambers. Through this operators are saving time during source exchange as well as operational safety. The ion source department is able to produce sputtering electrodes for the PIG ion source as well as cathodes for the VARIS and MEVVA ion sources at its own vacuum melting oven. Two turbo molecular pumps (300l/s) are evacuating the oven in order not to oxidate the metals during melting. For reaching melting temperatures up to 2500°C a power supply is able to deliver up to 1kA (about 6kW) to a small metal container which is connected to the later electrode and melts the supplied metal material. The whole melting procedure is controlled by specially skilled operators as well as diagnostics like CCD camera and a radiation pyrometer.